On the “Demo Tours” page you can create, edit and embed Demo Tours. When you click on “Add Tour” you can select and create a new Demo Tour. Let TourDash search for a Google Maps Business View by entering the establishment name into the bottom data field. You can make your search more precisely by entering address information such as town or street name. This information is linked to Google Maps. Place the exact Google Maps URL of a Google Maps Business View by clicking on “Use Google Maps URL”. After clicking the “Save” button the Demo Tour is created. The “Edit” button on the “Demo Tours” page brings you to the Editor, the same used for any virtual tour, more information about editing is given in the articles mentioned below. The “Edit demo page” option enables you to change the information shown in the Demo Tour, next to the actual tour, and you can choose the size in which the Demo Tour is shown. The “Demo page” option shows you the Demo Tour as it is. This opens in a new page. Here you can also find the URL of the Demo Tour. The ”Assign to a client” option enables you to assign your Demo Tour to a client and license. Waiting for a payment from the client is no longer an issue, because a Demo Tour can already be made available to the client. 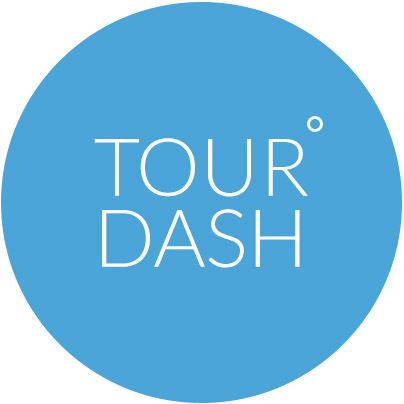 In this way, the creation and setup for TourDash only has to be done once and when the client approves the Demo Tour, it can be directly linked to a license. When this is done the Demo Tour has become a real Tour and the client can embed it on its website, blog or Facebook page. If the client chooses he can now decline you access to the Tour. The “Embed” option brings you to the page where you find all the information (size and code) needed to embed the Demo Tour on your website. Please note that a DemoTour can only be embed on the website you have given when you signed up. So embedding it on another website, Facebook page or blog is not possible. By clicking "Delete" you will remove the Demo Tour from TourDash. This step is irreversible, so please make you sure you want to delete the Demo Tour. Why can't I create a tour that is NOT on google maps, that is NOT anywhere in particular!!!??? Stupid that this is a requirement, what about tour of a large product, like a client who has conservatories to demo, and does not want the location on Maps or anywhere.